LOVE IT ALL! !VERY MUCH MY CUP OF TEA!!!! 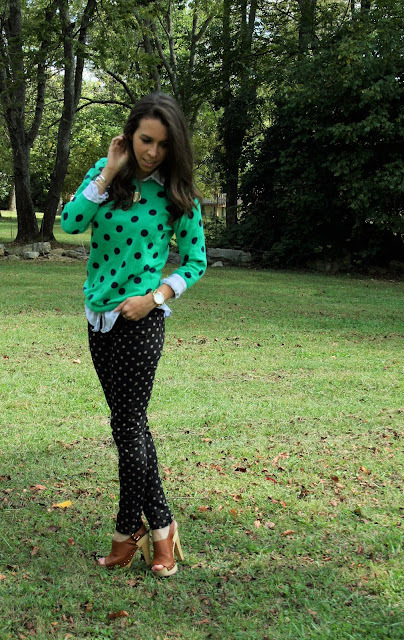 loving the dots on dots mixed together! You look great and I like your sweater. Very nice style. Have a great day. I love polka dots . Great combo! Love this look, the mixture of spots! I see spots, you look perfect! 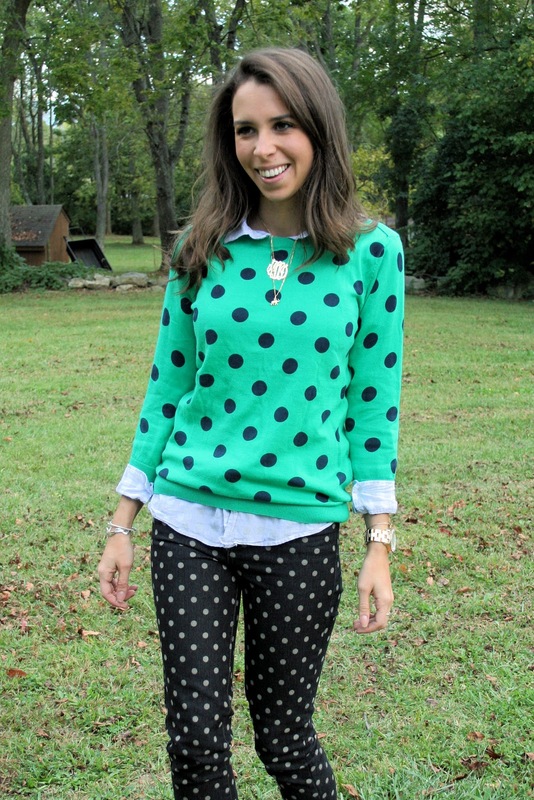 I love love love the dots on dots - such a cute look! love this polka dots outfit! !